Although it never really bothered me, two friends I tried to introduce to the game a few years ago were less than impressed with the starter zones in EQ2. Whether DBG can really afford the resources to revamp them is questionable but anecdotally it does seem important to player retention - Wildstar has revamped its starter experience at least two times since launch. I can't imagine either would be willing to buy a character boost to try another MMO, despite the obvious positives you highlight above to such an approach. We tried Frostfang together and I think the blinding white/blue colour palette was a turn-off. Separately I duo'ed with one of them in the Feydark starter area but the graphics are very, very dated. On a separate occasion I duo'ed with the other friend in the Darklight Woods zone and again the graphics didn't impress him but he did find the darker storyline a bit more appealing. At this stage it looks very much as though DBG have, sensibly, decided that they are effectively in the fan service business when it comes to EQ, EQ2 and, most probably, the EQ franchise as a whole. Once they canned EQNext I imagine any thoughts of future market growth went with it. 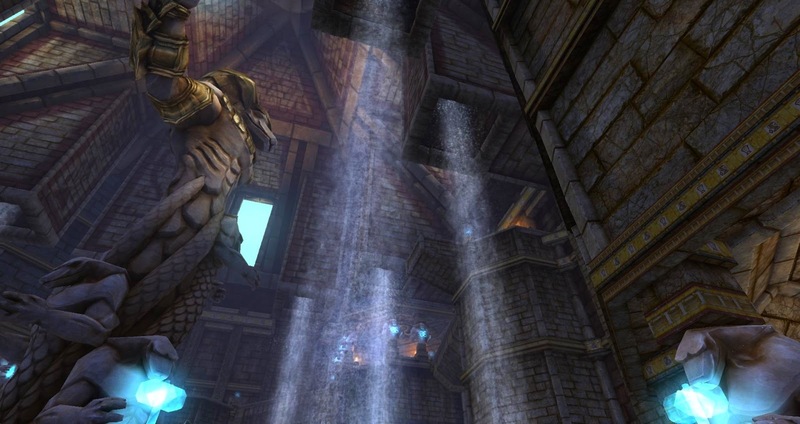 It's a shame that very few people who haven't already played EQ2 will ever do so but as you say the effort required to change that would never be expected to repay the cost so it won't happen. I think all four of the official 1-20 starting zones are very poor. The only one I ever really liked was Darklight Woods and even that isn't great. When I start a new character I always level in Antonica, Commonlands and the associated dungeons but nothing gin game sends you there any more and the gear and loot from them is inferior. They could try giving away one free Heroic Character with each free account but capping it at 95 without All Access. That would be a more effective free trial than having the whole game free but having to do 90 levels on 50% xp before you get to where everyone else is playing, which is the current offer. And All Access should give a one-time, uncapped, permanent Heroic Character with the first payment. Of course the current playerbase would be at the gates with pitchforks and burning torches but then, when are they not? The early content in EQ2 is a mixed bag. The overland zones do have a muddy blandness to them. I suppose one of the reasons I like Zek and Feerott is because they at least had a bit of color. And it always amused/annoyed me that it felt like SOE spent about 50x as much effort doing Freeport than Qeynos, only to have the rather simple looking Qeynos have all sorts of performance issues. Qyenos Harbor used to be horrible to get through. On the other hand, a lot of the underground stuff I though was very good. They Qeynos Catacombs had some very nice looking areas and I always enjoyed hunting around Varsoon's lair. I suppose I ought to level up one of my characters past 75 to see some of the newer stuff. 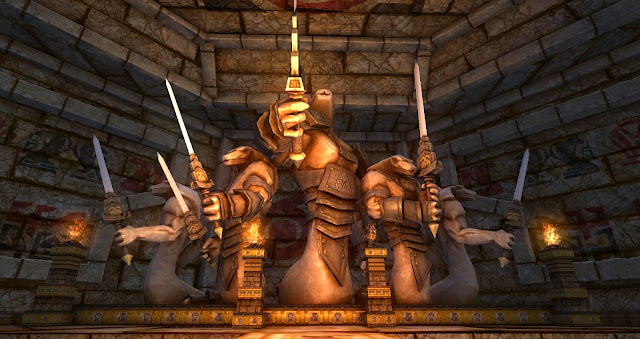 I'm still in Kunark, which is coming up on being 9 years old in November. The catacombs/sewers of both cities are close to the best-looking and best-designed zones in the original game. I always thought that was strange, although of course until they revamped the original newbie experience you did spend an awful lot of time down there. Kunark is an excellent expansion, well worth working through the whole thing, although it is incredibly large. Whole MMOs are smaller than that xpack. After that The Shadow Odyssey is all dungeons except for the excellent overland zone Moors of Ykesha and Sentinel's Fate has pandas of which the least said the better. I got to like it eventually but I would suggest skipping it. Velious suffers from the same issues as Frostfang (too white) although the quests are good. It really starts to pick up around Withered Lands, which was a free update to Velious, as was Cobalt Scar, which is a really excellent zone with great stories and scenery. From that point on its all pretty good although there is a certain SOE/DBG formula that can become a little too apparent without the year-long gaps of the original expansion schedule. Question about starting boosted to 90: What about crafting - do you have to go to low level zones to start gathering those nodes to level a crafting discipline? Hmm. Good question. 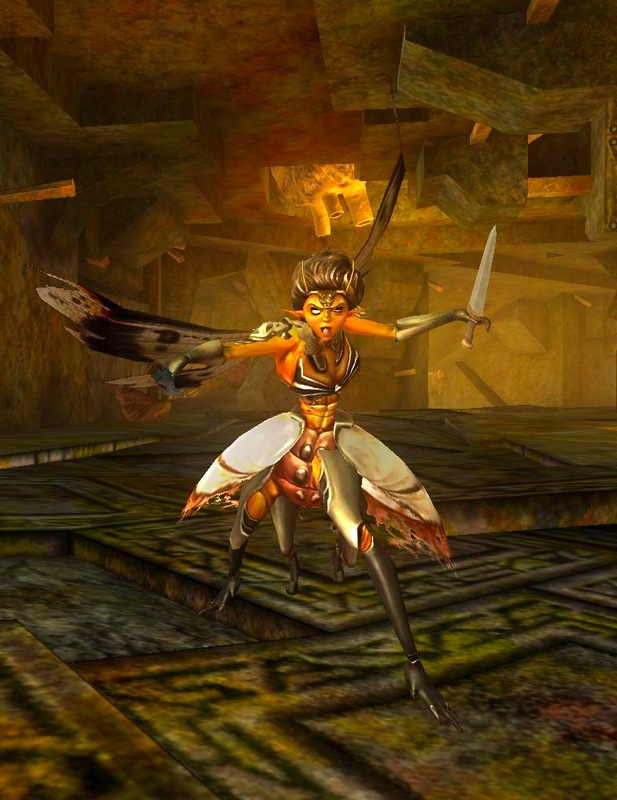 EQ2 has a complete alternate leveling process for crafting that mirrors adventuring all the way, including long quest lines, signature and epic quests and a very significant gear progression. You can just grind writs and level without any of that but you would miss out on a lot of very important and desirable rewards. 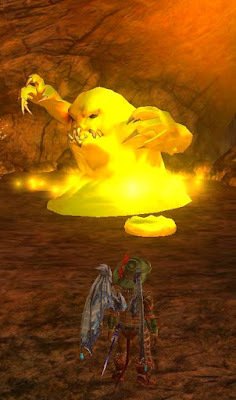 EQ2 also has a less-rounded but still substantial Gathering leveling-up route too, primarily via the love-to-hate him Qho in Mara. If you do his entire sequence you would gather through every tier of mats, some of the twice, and thereby get probably as much as you needed to grind out writs. You also get the very important gathering pony and goblin that way, if I'm not misremembering. Alternatively you could just take your level 90 and make plat with him then buy the mats off the broker. That's easy but expensive and you'd miss out on all the goodies. 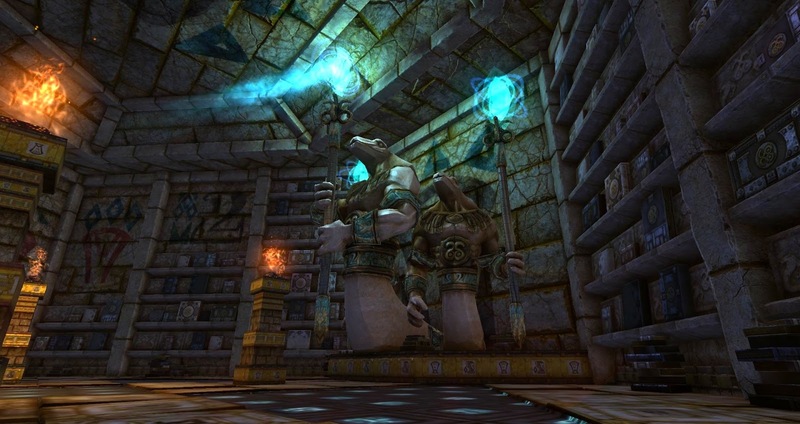 The more I think about EQ2, the more I realize just how insanely content-packed it is. Best not to think about it - just muddle along and look up stuff when you get stuck, I would say. I will think about this then. I enjoyed EQ2 but got bogged down pretty quickly (started at echoes of fay deer for the winged class). Leveling 1-90 is basically never going to happen. But really enjoyed the crafting element. Thanks for the list of options. There is a crafting quest line in Frostfang that will get you to lvl 20. After that yes, you will need to gather the same tier of materials to level through that crafting tier. If you do the writs in the tradeskill area of the cities after getting to lvl 20, leveling is insanely fast. "Most MMOs of a certain age now offer some kind of elevator to the top ..."
One of the contributing factors to my starting an EQ2 Necromancer based on your EQ2 blog posts and screenshots, was the two level 80 boosts that ArenaNet gave me in Shared Inventory Slots on my two GW2 accounts. I was trying to gauge my interest in another level 80 GW2 character but decided that rather than tinker with a GW2 Necromancer on zones that I've already explored on other characters, I would instead rather experience an EQ2 Necromancer on fresh (to me) content in EQ2. In fact I found the experience was enjoyable enough that it was worth continuing on with a subscription and boosting to 90. I'm such a slow leveller, anyway, and with all the content and advancement paths available at 90+, even if I ever do finish up I can always head down there with this character, start over with a different character, or pick up where I had left off with an earlier character from years ago and work through the earlier zones to 90, if I feel the urge. I suppose due to the power creep, while the boost is to 90, they've given me five orbs to teleport me to the Eidolon Jungle as my recommended starting point with level 92 mobs. With my Necromancer accompanied by my Veteran's Rewards mercenary, Lord Valkiss Ssi'sh, it is definitely not an issue. If my understanding is correct, they've pretty much implemented your suggestion that "reboot the game from the Withering Lands update, making level 92 the new Level 1", but perhaps placed me one step beyond the Withered Lands questline into the Eidolon Jungle questline?